You’ve heard it before – having a gutter filled with dead leaves and debris can be a danger to your home. It could cause a leaking roof, warped gutters, or provide a way for pests to enter your property. So, you haul out your ladder and prepare to clean your gutters yourself – how hard could it be? Thousands of people handle their own gutter cleaning every year, and it works out for them, right? The answer is very hard, and very dangerous. Nearly 5,000 people a year are hospitalized due to ladder falls in Australia, and 80% of those are a result of work around the home (that is, not an accident on the job, or while doing work for income). Nearly half of the injuries were due to ladders being placed on unstable ground, or because the person on the ladder was overstretching their reach, knocking the ladder off-balance. Sometimes, the ladder fell even with another person assisting by holding or balancing the ladder, which many people consider to be the epitome of safety for home projects. What’s worse, the injury rate continues to increase, and can cause hospital stays of five days or more, with injuries to your shoulder, neck, stomach, back, and more. All this, just because you thought it would be easier to clean your gutters yourself than reach out to a professional team! When we say hiring a professional is important, we mean it. Our goal is to make sure that you stay safe and do not get injured. Spending time in the hospital, losing mobility, and potentially losing income due to taking time off work are all negative effects that can come from underestimating the danger of stretching too far on an unsteady ladder. 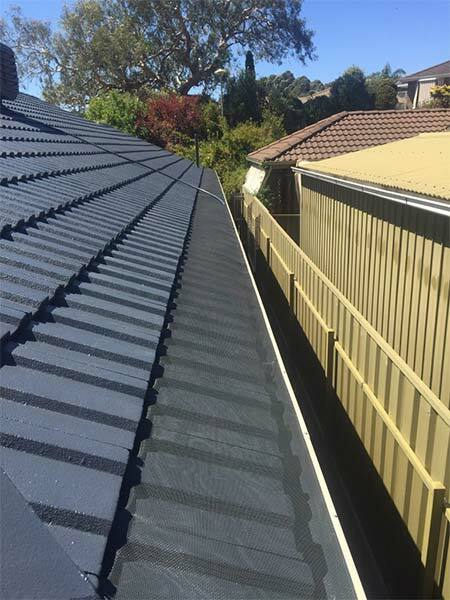 At UltraFlow Home Solutions, we believe it is time to look beyond the tedium of gutter cleaning and the dangers of attempting to keep your gutters clean on your own. 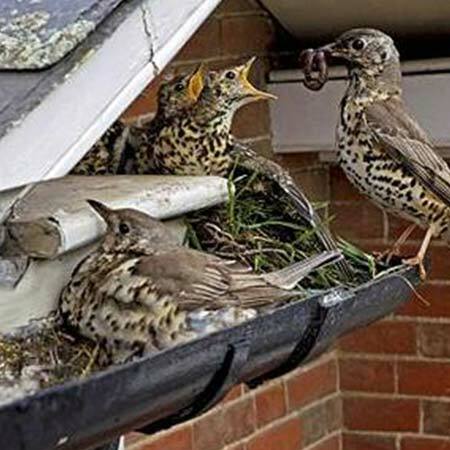 We install gutter guarding products that keep leaves, debris, pests, and birds out of your gutters. And before we do, we provide you with a free, professional gutter cleaning, so that you do not have to put yourself at risk. Plus, our gutter guards come with a 15 year product warranty, so you can have peace of mind that your product will last. 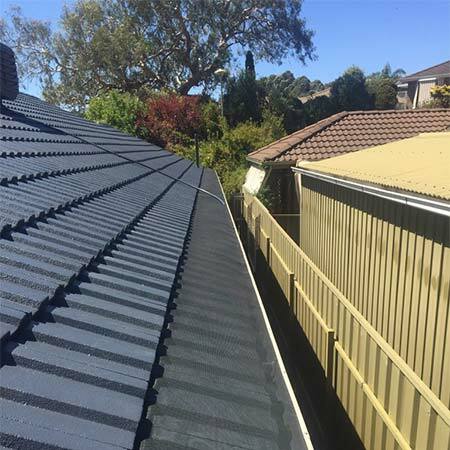 If you are worried your gutters are dirty and you want to avoid the very real danger of attempting to clean them yourself, get in touch with UltraFlow Home Solutions today. We’ll provide you with a free gutter inspection and quote for gutter guard installation, so that you never again have to worry about gutters that could be a fire hazard, an area for pests to gather, or a place for leaks to spring, causing water damage to your property. Trust a local team with 28 years of experience to handle your gutter cleaning and gutter guard installation. 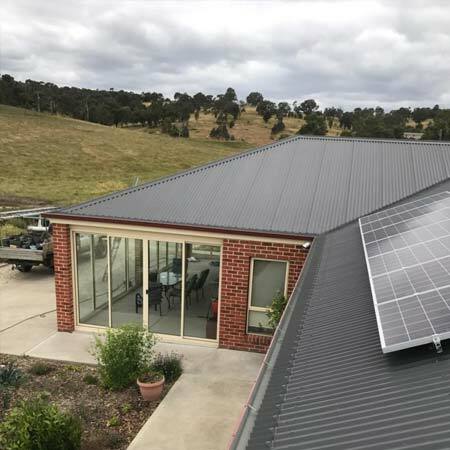 All our installers are fully trained and insured to the highest levels of workmanship and safety to keep you, your property, and themselves safe. Contact us now to schedule your free inspection!